Our parent company, WPBeginner has acquired ThemeLab. It was an active WordPress blog ran by Leland Fiegel. He usually published how to articles, tips and tutorials about WordPress. Leland also distributed several free themes, many of them are still used on blogs. Syed Balkhi, CEO and founder of WPBeginner outlined plans for ThemeLab in the announcement post. We had ThemeLab for a while and our development team was working hard on creating some amazingly beautiful themes to go with the launch. Meanwhile, our editorial team worked on the content. These days, we are working on rewriting and updating old articles, at the same time we will be publishing new content as well. There are some very useful old posts, that we need to update with new screenshots and information. Going through old content, also reminds me how much WordPress has changed over time. We have retired all the free themes distributed by Leland. 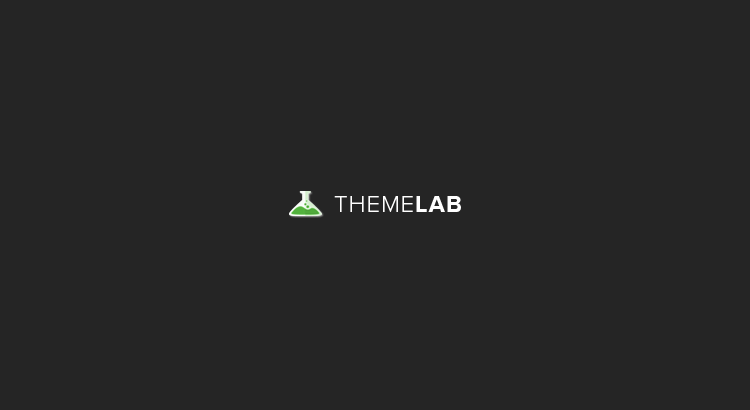 ThemeLab will continue to offer free themes. Right now you can download Slipstream our first free theme for personal blogs. It is fully responsive, mobile friendly, comes with ThemeLab about widget, and it is super fast. If you really want to try something even more awesome, then get ModernMag. It is beautiful and unlike other WordPress magazine themes, it is extremely simple to setup. WordPress themes need to be simpler. The users want themes that look like their demos without going through too many complex options. Hopefully ThemeLab will be able to fulfill that need.